Since my laptop battery is only good for about 2 hours of work, this would be a godsend! altinano (alti) has done that with their new lithium/titanate nanotech battery. soon to be used in smart cars being sold by penske automotive group (pag) in 2008. 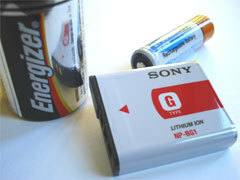 I think this is a solution for those who have problems with the lap top batteries. This is probably the weakest part of every lap top.